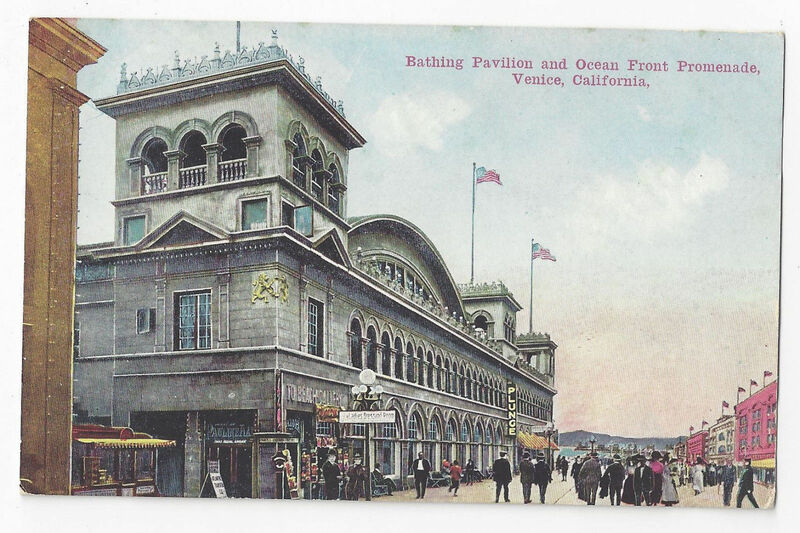 Vintage California Postcard Description: Bathing Pavilion and Ocean Front Promenade Venice CA Era/Style: Divided Back Artist/Photographer: Publisher: Van Ornum Colorprint Co. Postally used: No Postmark: Condition/Faults: Very Good Please study scans carefully for condition **************************************BU 66 CA U.S. POSTCARD AND PHILATELIC BUYERS ---- To comply with eBay’s tracking requirement, price of postage will cover cost of First Class Package rate with eBay tracking, and requires the use of a label rather than postage stamps - Postcards and covers are shipped in individual plastic sleeves or glassine envelopes and a protective rigid cardboard mailer. INTERNATIONAL BUYERS – Postcards and Philatelic items will continue to be shipped with postage stamps. In an attempt to contain shipping costs postcards and covers will ship in individual plastic sleeves or glassine envelopes and a paper envelope with stiffeners NOTE: postcards and philatelic Items purchased from us on other Web sites will also be shipped with postage stamps. Powered by eBay Turbo Lister The free listing tool. List your items fast and easy and manage your active items.